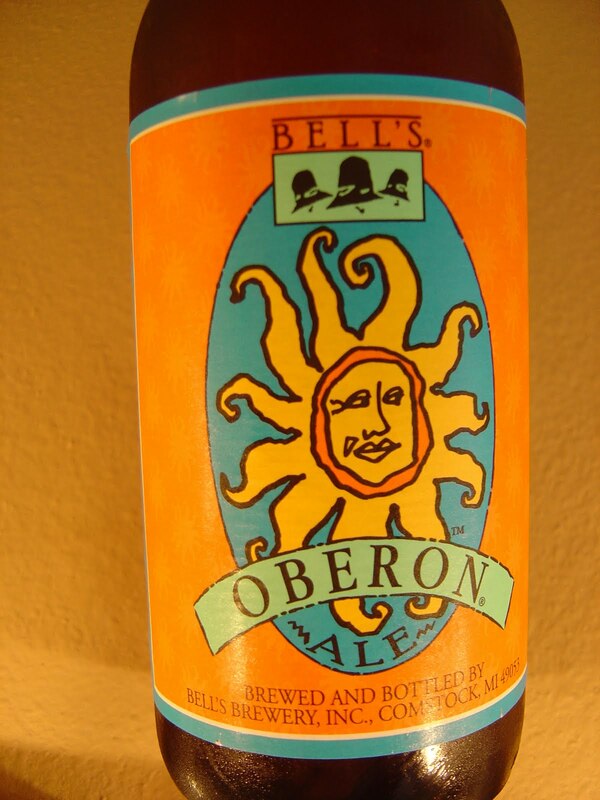 Today I'm drinking Oberon Ale brewed by Bell's Brewery in Comstock, Michigan. I'm really enjoying re-reviewing some of the more well-known and loved beers after quite a bit of time has passed. I originally drank this beer back in April of 2009, so you can see what I mean. I entered the code from my bottle 9757, and their website told me "Your Bell's Oberon Ale was packaged on May 18, 2010". Very cool feature! The label describes this beer as "an American wheat ale with the color and scent of a summer afternoon". Sounds delicious! Not a very powerful aroma, just faint wheat and orange. Orange and other citrus flavors kick things off followed by some bread and dough. Those malty flavors are then interrupted by some lightly bitter hops and spice accentuated by some prickly carbonation. Quite refreshing. The sweet and bitter flavors swing back and forth like a pendulum on your palate, never getting too far from center. A very balanced beer. Nice medium body with the wheat providing nice flavors and texture. Take your time drinking this beer. There are lots of little nuances that you can pick out with a little patience. Really nice summer beer. For sure try this beer! If you click on me, you will see some major blurry flaws. So just leave it as is! 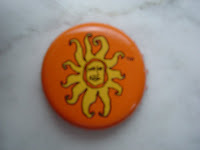 Oberon seems to be everyone's favorite session beer in my neck of the woods. It's one of my go-to beers for golfing, boating, swimming, hiking and post-running, you know, those times when you want to have a beer but you don't want to get hammered. But Bell's Two Hearted is better! I had this beer....bought a whole 6-pack actually....on the recommendation of the Total Wine staffer. It was okay....not a fave. I think I just, in general, like stronger, more flavorful beers. Hi Mariaaaaa. Thanks for stopping by. Yeah, from what I've heard, Oberon has a fantastic following. Really good beer, but I also agree that Two Hearted is better! We only get a handful of Bell's beers down here. There was a "Cabbage Patch Doll" type frenzy (if you're my age 38, you'll know what I mean) for the only 3 cases of HopSlam to hit my local Total Wine! Interesting side note, my first job was working for Cabbage Patch Kids. The real deal in Cleveland, GA. For reals.